Great fun single-handed racing skiff. Regrettably must sell and get something for the young kids. Excellent condition. Comes ready to race with 8.4m and gennaker. Beach dolly, boat cover and rudder cover. Currently stored under cover in Mt Eliza. RS100 Sail No 246 “Too Hot” $9500 for a fast sale. 246 is a proven performer in the past three years this boat has won the Nationals once and 2nd twice. 3 mainsails. 2x 8.2meters and a 10.2meter. The 8.2 are both in good condition one I use for club racing and the second is saved for championships. 2 spinnakers. Both in good condition one I use for club racing and the second is saved for championships. I have recently bought tampered spinnaker sheets and halyard. You can have the original sheets as well. 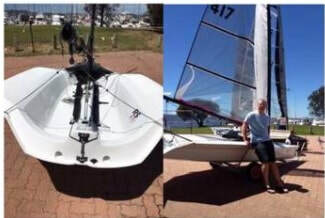 Comes with boat cover, mast covers and rudder covers. Since new this boat has been sailed 10 times in Tasmania and 14 times in Brighton. The boat is in excellent condition with 8.4 and 10.4 mainsails, with mast extension, spinnaker, launch dolly, mast up boat cover and foil cover. 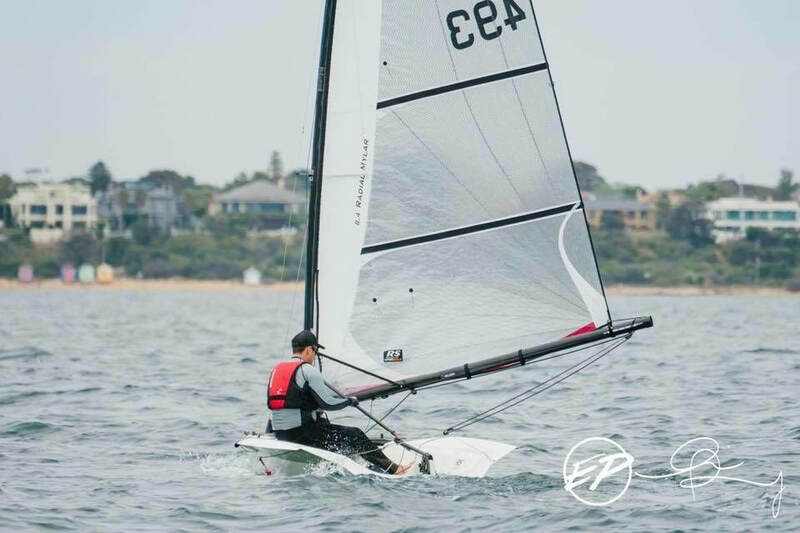 I bought AUS 417 in June but need to sell it as I am buying a racing keel boat and I will not have time to sail both boats. $10,000 – great value compared to new pricing.